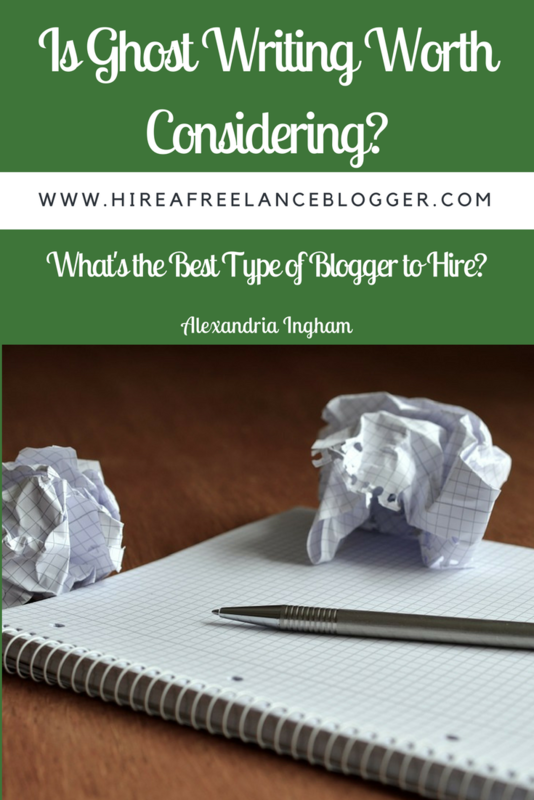 When you hire a freelance blogger, you usually have two options. You can give someone a byline (as in it is clear it is their post) or get them to ghost write. Is ghost writing something you should consider for your blog? Ghost writing is becoming a popular option for many businesses. It allows the owner time to do other things, without making it clear that they don’t do the blogging. The business owner can put any name they wish against the content. 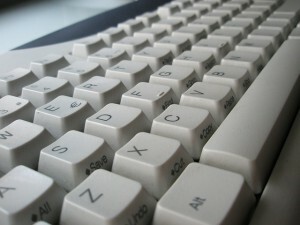 This can allow the blog owner to make it look like multiple people are blogging through the use of multiple pen names. It can also allow them to add their own name to create a sense of authority around their own brand. But is ghost writing something to consider? 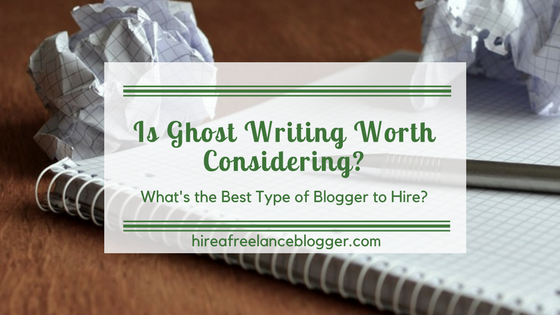 There are a few things to factor in before you hire a ghost writer. Should you opt for ghost written content on your blog? Ghost writing often costs more than freelance blogging with a byline. This is because the writer can’t use the content for their own samples. There’s no proof they wrote the content. When work can be used as samples, freelance bloggers are likely to charge a little less. They know that they gain some exposure benefits and can also use the content to gain other clients. There’s a chance they gain more than just the money they’re paid for the content. Some bloggers set no difference in terms of price. In fact they can promote themselves as a ghost blogger rather than expecting a byline. Because the writers aren’t going to get any samples from their writing, they may ask you leave a recommendation on LinkedIn or a testimonial on their website. This can give the game away that you’ve hired a freelance blogger to do your writing. You don’t have to leave recommendations, but it could help to keep the cost down. Ghost writing recommendations can lead to more work for the freelance blogger. The bloggers won’t charge as much since there is the chance of getting work in the future from the job. It’s normal to worry about quality. If the blogger isn’t putting their own name on the content, will they put the same amount of effort in? A good blogger for hire will. You’re still paying for the content and you deserve quality. However, there are some low quality writers out there who won’t put in the same effort. The low quality writers can have the view that the content isn’t going to effect them. Their name isn’t going to be associated with it in the future. They don’t worry about their own reputation. However, good bloggers who offer ghost writing will offer good quality content. It’s important to find good quality writers at all times. Some customers and readers may feel disappointed to hear that your blog is completely ghost written. They may have thought that you did it all yourself, especially if there is a personal element to it. This can lead to them finding someone else they feel they can trust more. However, it’s worth remembering that even the greatest authors use bylines and there are plenty of memoirs that have been ghost written. This type of “lying” doesn’t have the negative connotations. It’s all about getting the best quality. If your blog posts help your readers, you will gain positive opinions regardless of who actually wrote the content. 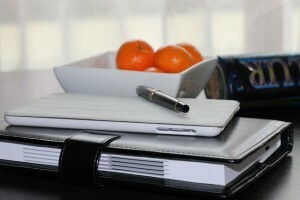 Ghost writing could be something you choose for your blog. I offer both types of content and am happy to discuss your needs through email, phone, or Skype. Get in touch today via email and we can move from there. Is ghost writing something your business could consider? Think about it carefully, as a ghost writer may not work out for you financially. Note: this post was originally published on July 14, 2014. It was updated on August 12, 2017. What I find particularly interesting, Alexandria, is that you raise the question! 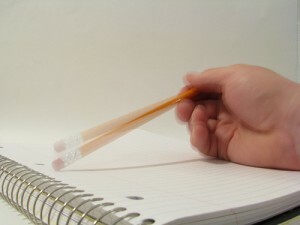 If it’s your blog, even with a freelance blogger doing the writing, isn’t it obvious that you have a say in the matter? In Hebrew we have an expression, “I pay, I say!” Perhaps I am not familiar enough with this market. THANKS for sharing and opening my eyes. Good Luck. Yes, definitely. If it’s your blog, it’s your decision in the end. Something that I’ve found though is that people believe the freelance blogger knows best. They are more likely to know whether a post is likely to work or not. Of course, that’s not necessarily the case because the blogger doesn’t know the business’ customers. Thanks for stopping by again, Rachel. There is an element of the blogger will know more about what works, but will also know how to make the blog owner’s idea work and fit with the blog. I agree with Judy. Since it is ultimately that person’s blog, they have a say in the end even if they did hire a freelance blogger to assist them with articles. 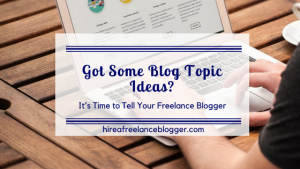 I believe leaving room for the owner of the blog to interject blog ideas should be discussed the first time around while they are interviewing the potential freelance blogger. “Can you write 30 blog articles for me a month? – Yes. – Ok what if I have 1 or 2 ideas per month that I’d like an article written about? Is there some wiggle room? ” Something to that effect. Perhaps the freelance blogger can even aside 1 or 2 free days per month to write about whatever the owner of the blog desires. Being upfront and talking throughout the month are important parts of this. There is also the element of whether an idea will make a good post. It may seem like it to start with, especially if there is a frequently asked question, but will the answer really make a blog post. Sometimes, a simple yes/no answer is better than a long winded blog post. Some clients can fear that their ideas are actually better for a simple FAQ page or may have the wrong idea of how blogging is supposed to be used. A freelance blogger can explain all that, but yes communication and discussing all options upfront are essential. Thanks for stopping by, Paulette. I found this interesting to read. Why would I wait to talk to my hired blogger about something I think is important for my blog? I resonate with Judy. I am new to blogging and love writing so much, I never would hire somebody else to express my thoughts. Maybe it’s different if you use it for products, but still my products, my clients. I think it really does depend on the reason for setting up your blog. Apart from guest posts, I’d never have someone write a post for me. But that’s because I’m a blogger and love writing. However, there are plenty of people out there who don’t have the first clue about writing or blogging, but have just heard it’s good for marketing. They can have so many questions surrounding what’s right or wrong when it comes to posting topics and may worry that their ideas just won’t work. I always make it clear that I want to hear ideas. It is the client’s blog after all! Thanks for commenting, Sabine. I’ve ghostwritten blogs for a long time. I always worked hard to learn about my clients’ businesses and to help generate unique content for their blogs. Trust me, we welcome ideas from our clients. You know your business better than we do! Quite often, business owners find it hard to be objective about what is blog-worthy. When you start generating your own blog ideas, it is very empowering and can only benefit your business. Thanks for your comment, Sue. You reiterate my thoughts exactly. 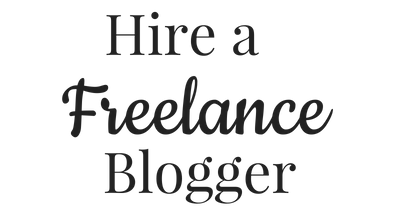 Can you be a freelance fiction blogger? I’m sure there are people looking for bloggers to write their fictional posts. It’s not as popular as non-fiction posts though.